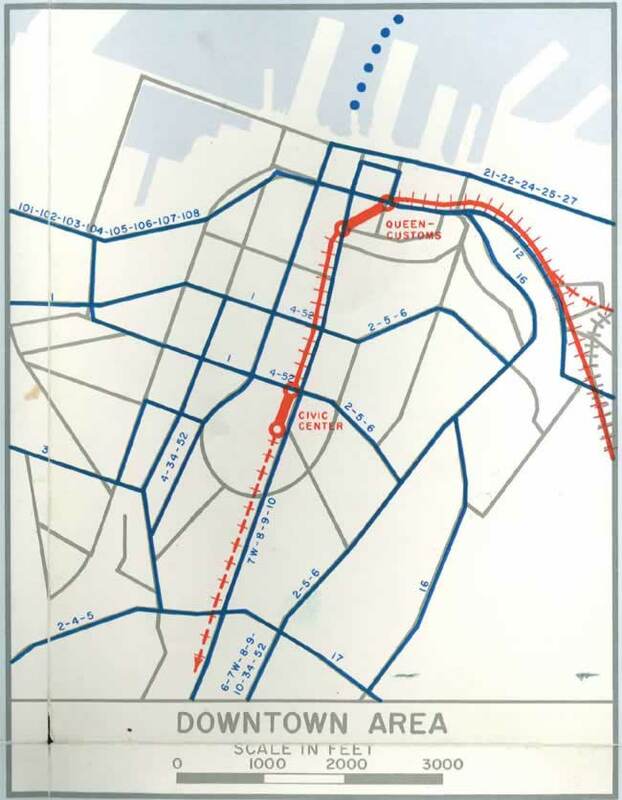 The 1960s highway study undertaken by American consultants De Leuw Cather has a somewhat infamous status in Auckland’s transport history, laying out a motorway network that has driven calls to “complete it” for decades since. Fortunately much of this plan has never happened and probably never will. 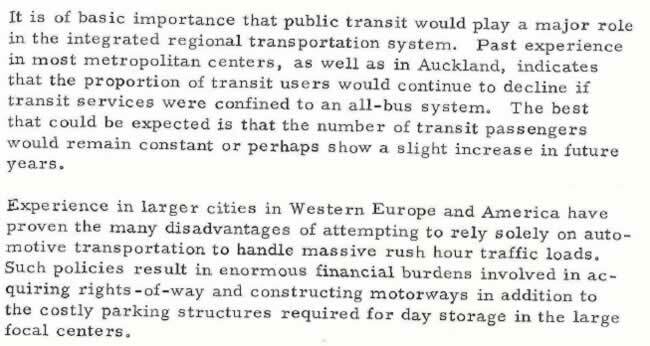 But certainly the drive to complete the Western Ring Route and the Eastern Highway plans that emerged in John Banks’s first term as mayor of Auckland City Council are descended from this 1960s transport study. 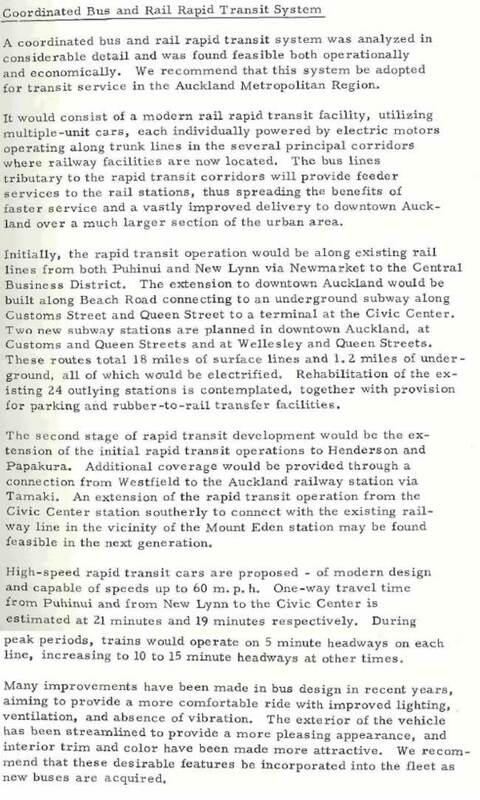 So, in a somewhat similar proposal to the 1955 Master Transportation Plan, we had a partial City Rail Link being proposed – and it was contemplated that in the future (like around the end of the 20th century?) connecting this through to Mt Eden would be a real possibility. 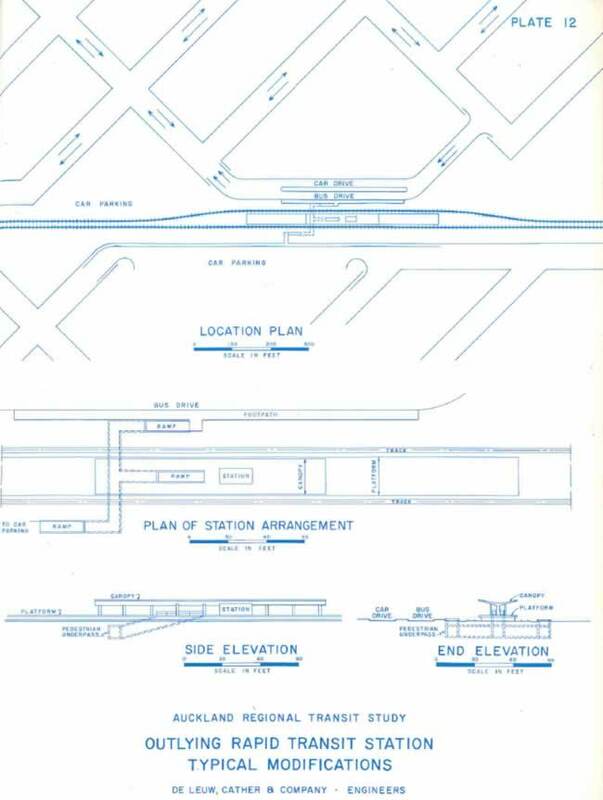 A diagram was also included: There’s even quite a bit of detail to the design of the station proposed beneath Queen Street and Customs Street, an alternative to Britomart I suppose. 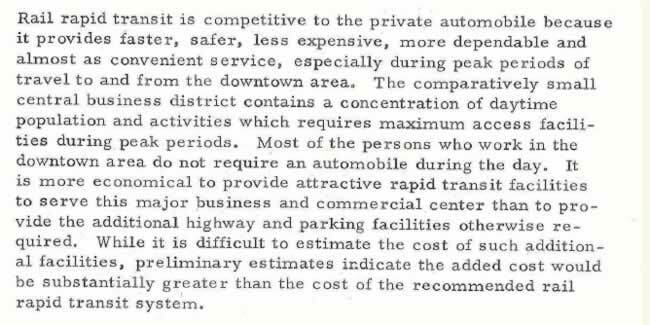 I guess the real question that is interesting to try to find an answer for is how De Leuw Cather proposed this plan in comparison to their other, more famous, highways plan. Did they always intend for the highways to happen first, or for rapid transit to happen first? Which one did they think was a greater priority? Well, from my reading it seems as though they thought the two plans were complementary of each other – but they certainly had some interesting stuff to say about the problems of relying upon a highways only solution: And on the benefits of rail: Reading the above it would certainly seem that De Leuw Cather never thought that simply implementing the highways part of their plan (or even a part of that plan) without also implementing the transit part would be a good idea. Of course we never listened to them in this respect. Interesting that they proposed terminating up to 36 trains per hour at Civic Centre station. I wonder how many platforms they proposed. They did a similar thing with their Comprehensive Transport Plan for Wellington, stating that a subway to Courtenay Place should be built. Funny how those parts got ignored (and are still ignored) in both cities.